The landscape of the department of Chinandega, is almost as diverse as their various counties because each has its own unique characteristics and attractions. Peanuts, sugar, salt, shrimp and rum are the main contributors to the agricultural industry of the department of Chinandega. This region has an estimated population of about four hundred forty thousand inhabitants. Some, especially the coastal towns, have taken the opportunity of the tourism industry and arededicated to providing excellent travel services to travelers inNicaragua. 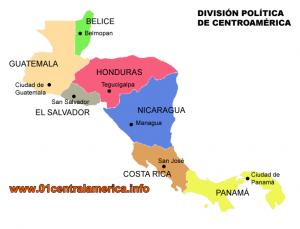 The department of nearly five thousand square kilometers hasthirteen municipalities, which consists of Posoltega, Cinco Pinos,Chichigalpa, Puerto Morazán, Santo Tomás del Norte, El Realejo, Villa Nueva, San Pedro del Norte, El Viejo, Somotillo, Corinth, Chinandega (capital of the department of Chinandega) and San Francisco del Norte. Landscapes by municipalities vary fromvolcanoes, tranquil beaches, mangroves, estuaries and lushfarmland, historic towns, impressive monuments and beautiful natural attractions. The Realejo and Corinth are known as the two most historic cities in the department of Chinandega. In Corinth, visitors can expected to attend the Food Fair with a festival that is held annually in April. Other interesting places to explore include the San Cristobal volcano, theamazing life of birds in wetlands, cliffs and beach MechapaCosigüina Islets, which offers relaxing boat trips. Chinandega Department also has many very talented local artists living in the region, demonstrating products and giving visitors the opportunity to buy one of their unique creations as souvenirs.